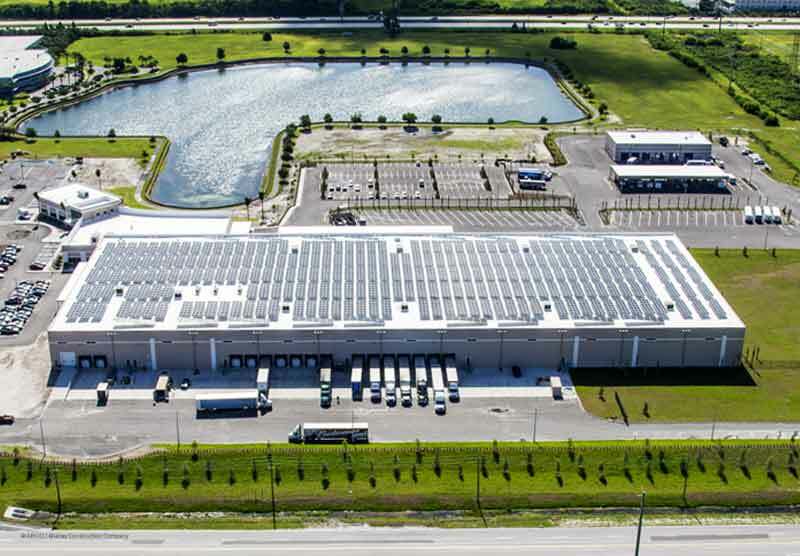 ARCO / Murray Construction Company is excited to announce the recent installation of the largest commercial rooftop solar system in the state of Florida on top of the new Great Bay Distributors facility that is currently under construction. 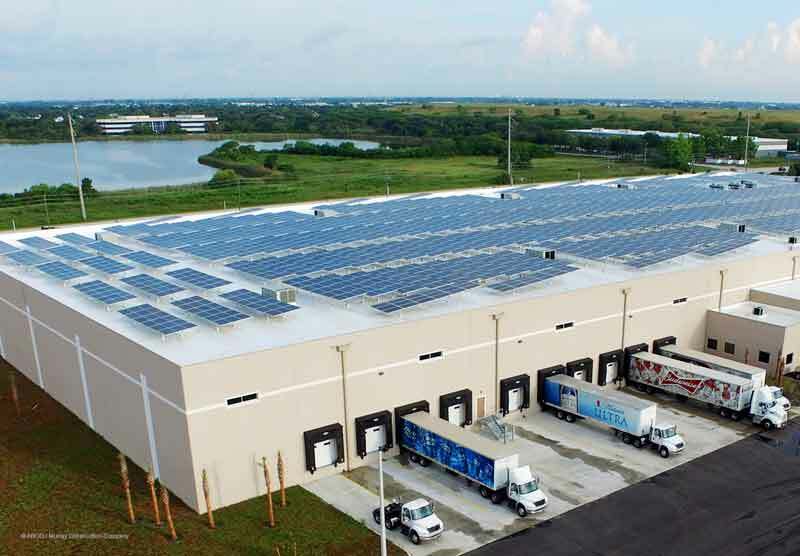 ARCO / Murray Construction Company teamed up with Solar Energy Management to design an affordable and locally sourced power option for Great Bay Distributors that is planned to decrease the new 280,000 SF distribution facility’s electrical consumption by 90% over the next 25 years. This setup will eliminate more than 43,500 tons of CO2, the equivalent of planting more than one million trees. 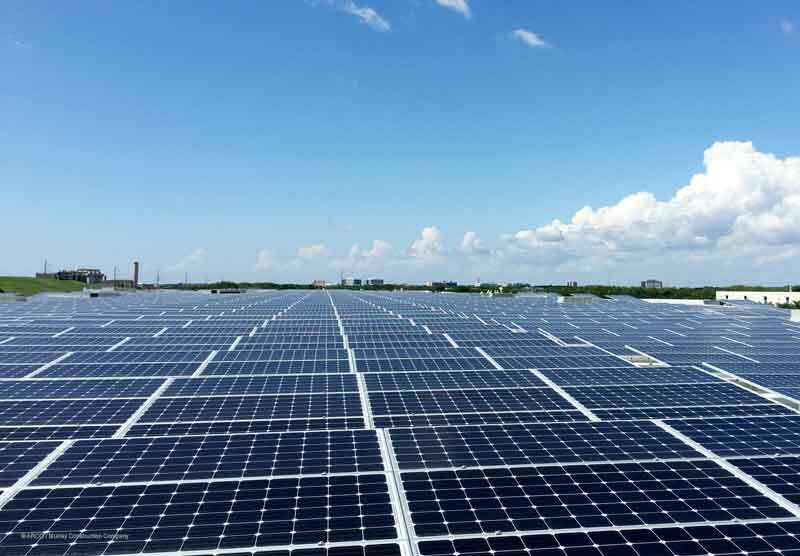 The 1.5 Megawatt system contains 4,590 high-powered Optimus 330W panels from Suniva, Inc., a U.S. manufacturer of high-efficiency crystalline silicon solar panels based in Georgia. 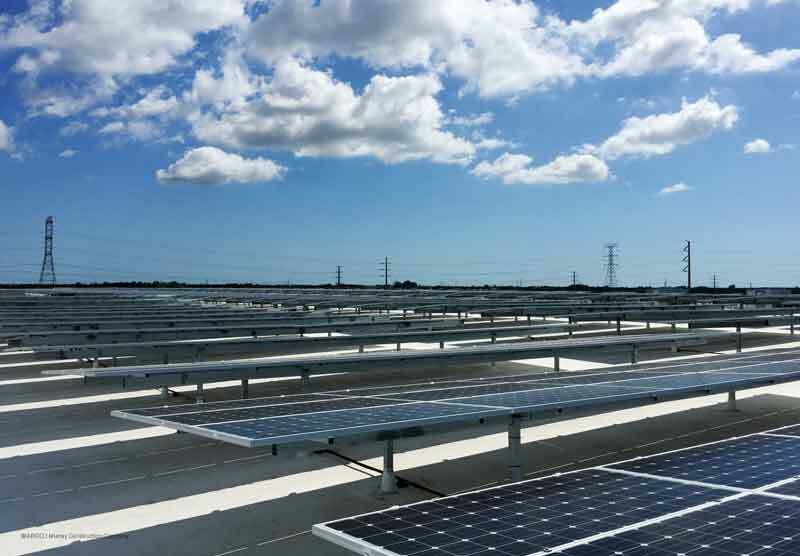 The panels are located on a custom designed and fabricated racking system that cut the roof membrane penetrations in half. 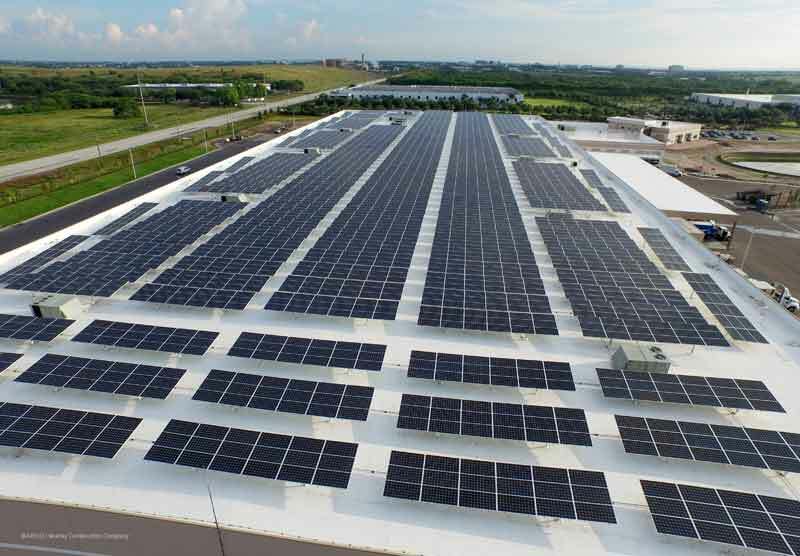 The system also contains 51 state-of-the-art Sunny Tripower invertors from SMA Solar Technology AG. 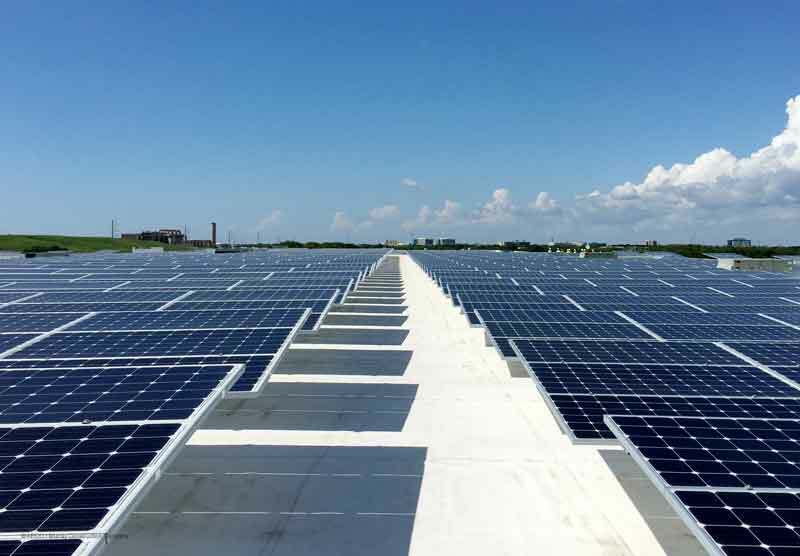 These invertors, which are produced in Colorado, increased efficiency by compartmentalizing the solar panels to prevent building-wide power outages.